Youth Studies Magazine. In the last few years the Spanish Youth Institute (INJUVE) has been following with interest and published the results of the social research project that is carried out through a youth survey based on a compared European perspective. We have learnt of the changes that have taken place in the conceptualization of youth transitions to adult life and the differences observed in different European Union countries. 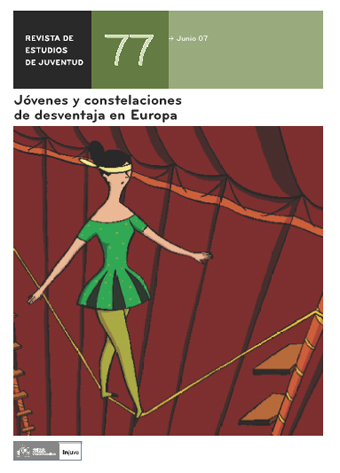 The monographic report that we present today focuses on two situations which form part of what we call constellations of disadvantage in youths in Europe: a) youths who leave school early and whose qualifications do not go beyond compulsory secondary school level, and b) youths who are unemployed and/or whose contracts are temporary or precarious.